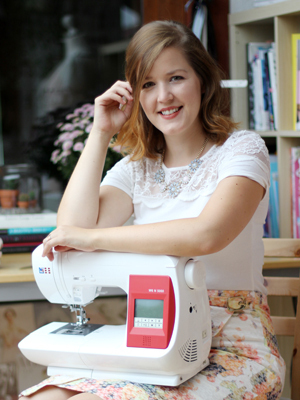 The Silk Cami comes together super quick and is perfect to show off really cute prints that don’t work well with garments that have a lot of seams, darts and pleats. 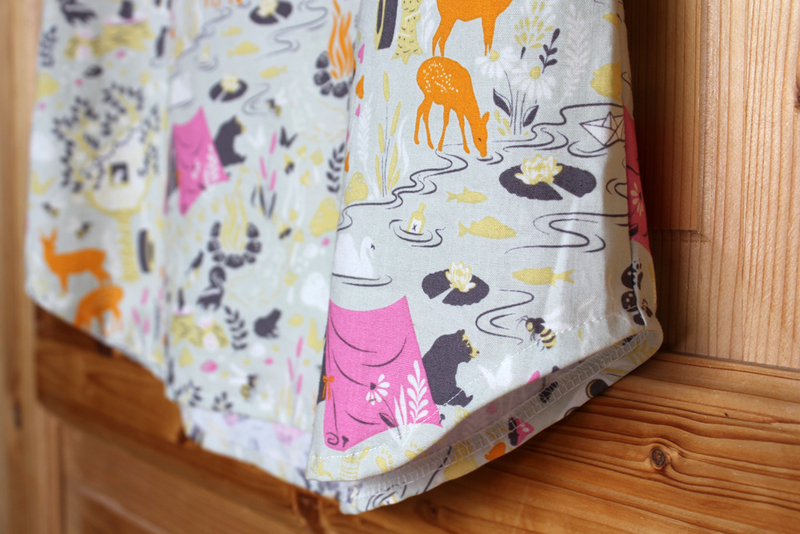 So this top was the right companion for this super cute fabric I have had in my stash for a few years now. 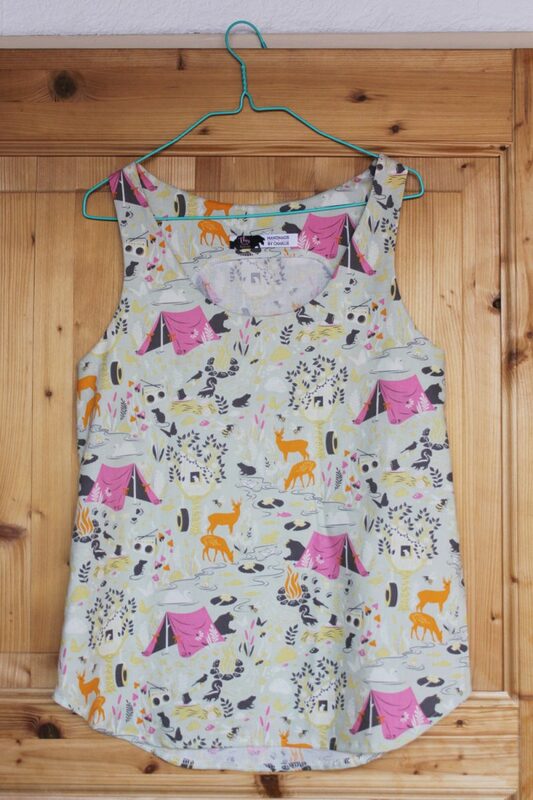 I bought it at the first SewBrum Meetup in Lauren’s shop, Guthri & Ghani in Birmingham. It’s 100% cotton and was something around 18£/metre. 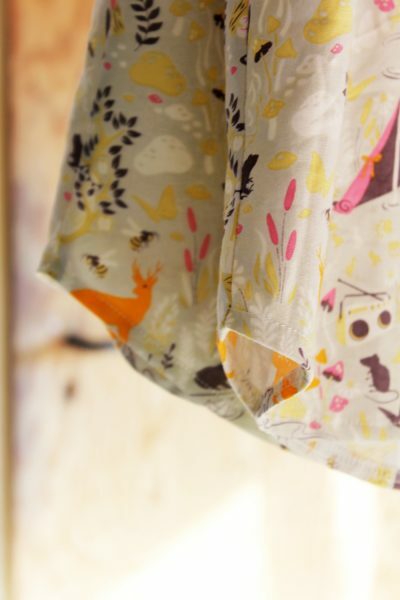 I normally don’t spend that much money on cottons, but the print was love at first sight. I kept it in my stash for ages, because I was waiting for the right project to come along. For me, the longer a fabric sits in my stash the less “valuable” it becomes. At first, I hesitate and dare not cut into the more expensive ones, but give it a few years and I will use them for wearable (well, mostly wearable) muslins. I know this makes no sense. Well, this is why this gorgeous cotton ended up being used for my silk cami muslin. And guess what? It doesn’t fit! Good thing is, it fits my best friend perfectly and she’s more than happy to take it off my hands. 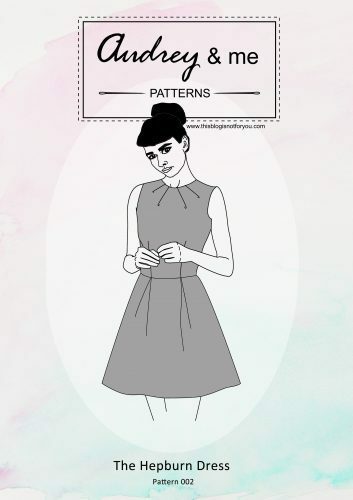 It’s just too tight around the bust and gaping a bit at the back neckline. 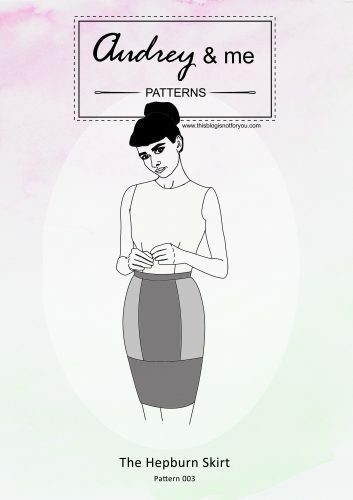 I adapted the pattern accordingly and the second and third top I made are a great fit. 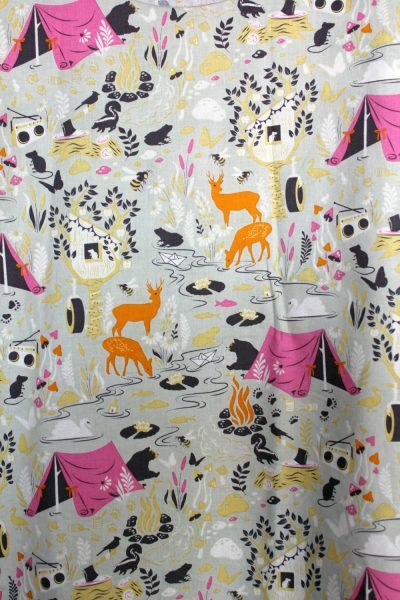 But I have to say goodbye to my bear-behind-a-tent-fabric. Life is tough! 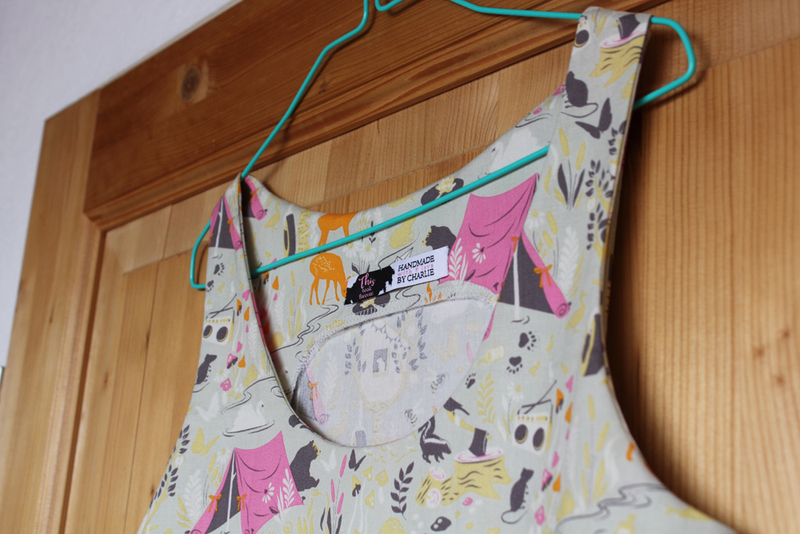 Another great thing about this top – it colour-matches perfectly with my new labels. I’m so, so happy about them that I had to give them some more screen time on the blog. Here we go! These wonderful labels are courtesy of The Dutch Label Shop who kindly approached me and offered to try out their costum-design labels. I was getting tired of my old ones that I’d been planning to update for a while, anyway. 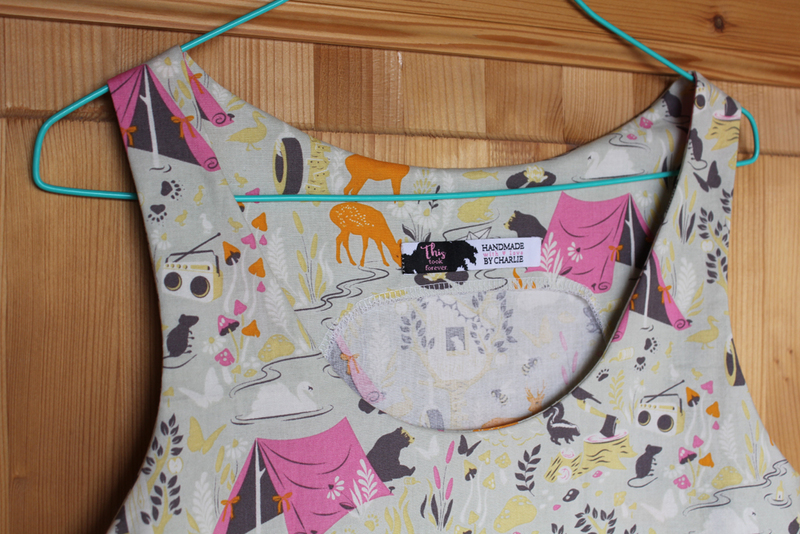 I picked a sew-on label with very practical end folds – so I could use these as a coat hook for lightweight cardigans, as well. I’m very happy about going back to the sew-on type. I had some iron-on ones made a few years ago by a different brand, that come loose after a few washing circles. 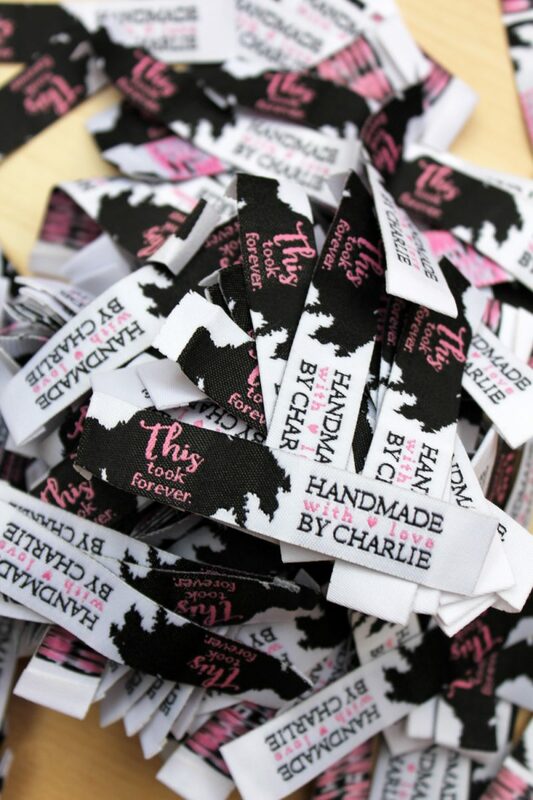 These labels might certainly be quite an investment for some, but the quality really shows compared to other brands. What I really love about the ones from Dutch Label Shop is that you can upload your own design, costumising fonts and colours as well. 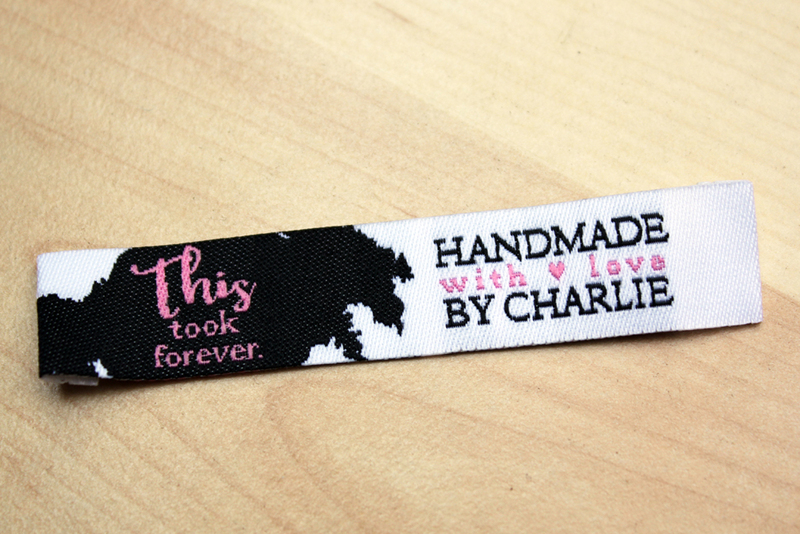 This made it possible to incorporate parts of my blog’s design into the labels. Don’t they look fantastic? 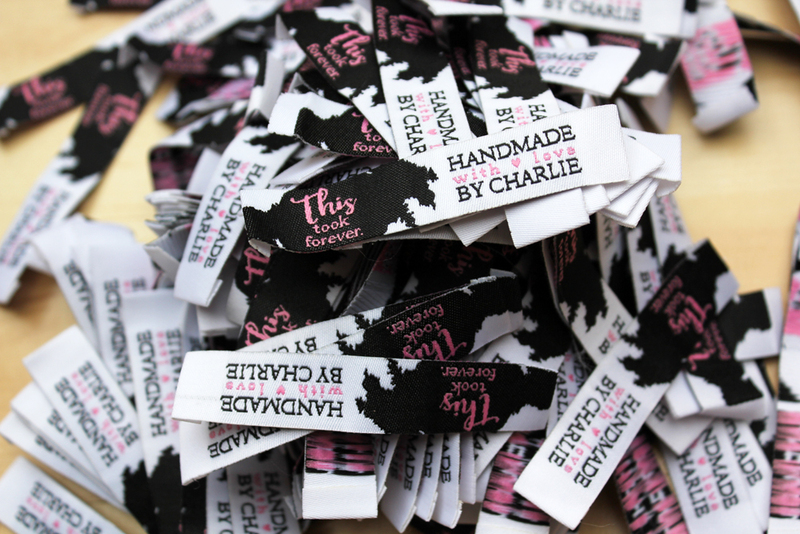 I have 200 labels now – I’m probably not anywhere close to having sewn 200 garments over the years – so these will last me a looooong time! I already started to sew these into some of my older handmade garments, just to take off some of the pressure, hehe. Falling leaves or not, I’ll share some of my other summer makes soon! Off-the-shoulder top + voucher for your own Dutch Label Shop labels! I love your new labels! Hi. How did you adjust for the bust area please? I’ve had the same problem.